The city of Waldo will have a council meeting Monday April 11 at 6:00 P.M. at the Waldo City Hall. All meetings are open to the public. The Magnolia High School baseball and softball teams play today at Watson Chapel. 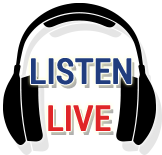 You can hear the Panther baseball game live on Classic Hits KVMA. The broadcast begins at 4:10 and first-pitch is scheduled for 4:30. SAU softball pitcher Kimmy Beasley is the Great American Conference Pitcher of the Week. Beasley had 2 complete-game shut-out wins in the Harding series; also a save. It’s the 3rd Pitcher of the Week for Beasley this season. The second-place Lady Muleriders travel to first-place Arkansas Tech Friday and Saturday.